Applause broke out among about 70 rural residents at a board meeting last night as Anthem Community Council approved plans from EPCOR to build a water-hauling station to serve residents of New River and Desert Hills. 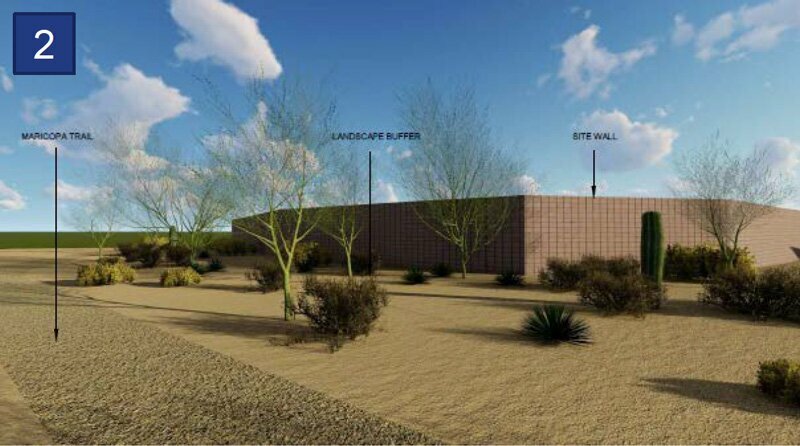 Now the race is on to build the facility before Phoenix shuts off the rural water supply April 30. EPCOR will build the station on a leased acre of Anthem land near Meridian Drive at the far eastern side of town. The water-hauling station will sit east of the intersection of Meridian Drive and Liberty Bell Way, abutting Skunk Creek Wash to the east. Click to enlarge. Residents of New River and Desert Hills face a declining water table, with some wells going dry in recent years, and new construction meaning more and more homes sucking from the ever-lowering aquifer amid what state officials say is a 21-year drought. Time is short. On April 30, Phoenix will no longer allow water haulers to transport water from city hydrants to homes outside the city, leaving as many as 1,500 homes with no water supply. That deadline is an extension from the previously announced shutoff planned for the end of 2017. Phoenix says it will not extend the deadline again. 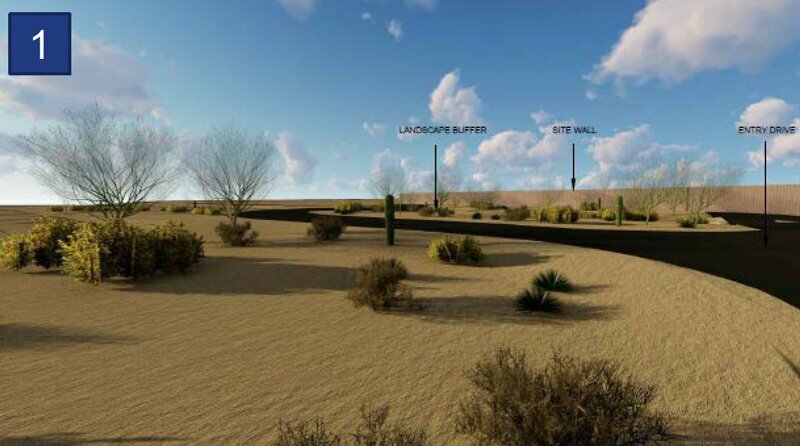 Maricopa County officials are expected to fast track permits needed from several agencies, said Eric French, EPCOR’s engineering project delivery manager. If construction can begin in early March, “we are targeted to be done by April 30,” French said. ACC added one significant amendment to the proposal in the late innings: Water from the new facility can be transported only to homes in New River and Desert Hills built before Jan. 1, 2018. That stipulation is meant to assuage resident concerns that the solution would otherwise have encouraged additional home-building. Rendering of the station looking south from the Maricopa Trail, which runs east-west just south of Meridian Drive in Anthem and will be moved slightly north to accommodate the project. The station will tap into a water main under Meridian Drive, drawing from the same water supply that serves Anthem residents. EPCOR has said the new service will have no impact on Anthem’s water supply or rates. The utility will draw from a 300 acre-foot supply of water that it currently recharges back into the ground each year. (One acre-foot equals 326,000 gallons, enough to cover a football field about a foot deep.) Should more be needed, EPCOR says it has various unused water credits through the Central Arizona Project that it could call in. The rate EPCOR will charge water haulers was set by the Arizona Corporation Commission: $9.55 per one thousand gallons. Water haulers will charge free-market rates to deliver the water. Plans call for two water-filling stations, accessed via Desert Hills Drive. Click to enlarge. The water-hauling station will be accessed by trucks from Desert Hills Drive. It is expected to increase truck traffic slightly on that road, which water haulers already use to deliver water from Phoenix. French said the utility expects about 60 trucks per day. As many as 45 already traverse the road, according to one estimate. None of the traffic will flow through Anthem en route to rural deliveries. 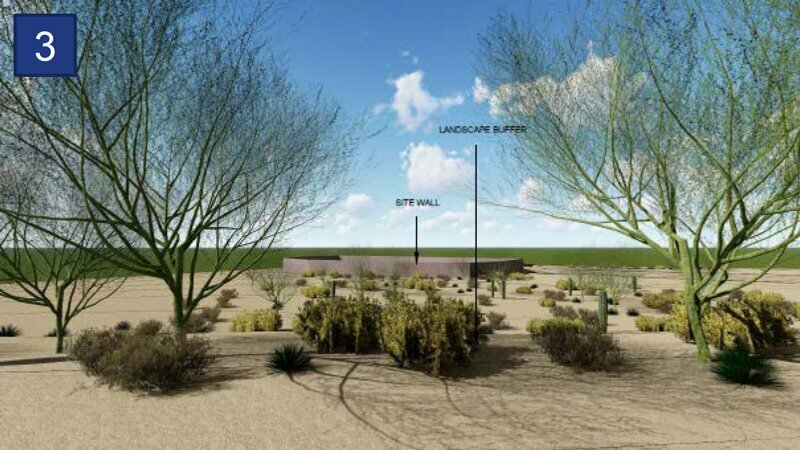 As part of the project, the Maricopa Trail will be moved slightly north to skirt the new facility, and the county parks department was involved in that planning. The facility will be surrounded by an 8-foot wall, set back 140 feet from Meridian Drive. Landscaping and construction materials will match Anthem guidelines. It will operate seven days a week, 7 a.m. to 6 p.m., with a sliding gate and pin-pad entry. The final planned location—negotiated among Anthem officials, EPCOR and residents—was moved slightly east so that the entrance is now across from a cactus farm on Desert Hills Drive and not across from a residence. 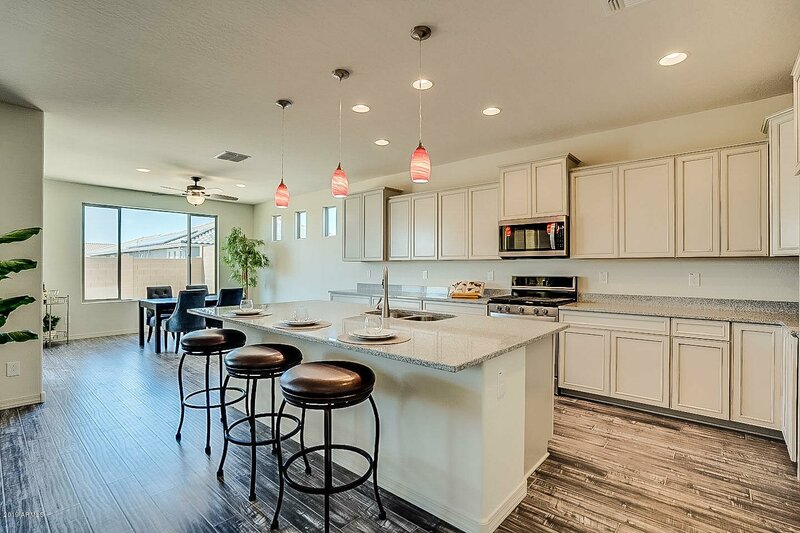 Some Desert Hills homeowners expressed concern about congestion, given school bus traffic that passes through a special gate into Anthem, and the nearby Fire Station 145 on Desert Hills Drive. EPCOR is working with the Maricopa County Department of Transportation to ensure the entrance meets safety standards, French said. Trucks will be able to enter and exit the station from east or west and queue up inside the facility. Rendering of the station looking south from Meridian Drive in Anthem. 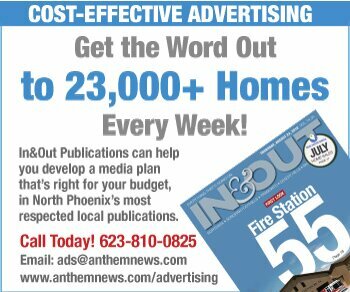 In&Out Magazine is mailed directly to 21,000 North Phoenix homes each week. Aug. 10 In&Out/North Phoenix News article reveals Phoenix’s planned shut-off, attributed to a city code that forbids hydrants to be sources of potable water. Sept. 14 In&Out/North Phoenix News analysis shows the aquifer under New River and Desert Hills has been declining for decades and wells are going dry. Feb. 13 After Anthem officials see first draft of EPCOR’s site plan and council members walk the site, the utility is asked to make modifications, and a meeting is set for Feb. 22 to hopefully render a decision.